Olivia Hussey is a Golden Globe Award winning actress is renowned for her as Juliet in Franco Zeffirelli’s 1968 film version of Romeo and Juliet. She won the Golden Globe and two successive Best Actor Donatello Awards (Italy’s Oscar equivalent) for her outstanding performance in the film. Hussey is a seasoned veteran of the London stage where she debuted in the 1969 film The Prime of Miss Jean Brodie, based on the novel of the same name by Muriel Spark. Since then she has appeared in several films including Death on the Nile, Jesus of Nazareth, The Last Days of Pompeii, Showtime’s Psycho IV and Stephen King’s It. She has also guest-starred in numerous television productions. Olivia was awarded the 2007 CAMIE Award for best performance by an actress for her role as Mother Teresa in the 2003 film adaptation Mother Teresa of Calcutta. Hussey was born Olivia Osuna in Buenos Aires, Argentina, to mother Joy Alma Hussey, an English legal secretary, and father Andreas Osuna (aka Isvaldo Ribo), an Argentine opera and tango singer. At age seven she moved to London, England with her brother and mother who was five years divorced from Hussey’s father. She attended the Italia Conti Academy drama school for five years and obtained the role of “Jenny” in The Prime of Miss Jean Brodie. Her performance stood out to one person in particular, Italian film director Franco Zeffirelli, whom was looking for his lady lead for the cinematic adaptation of William Shakespeare’s Romeo and Juliet. Hussey went on several auditions for Romeo and Juliet, topping five hundred actresses to land the lead female role. Having assumed her mother’s maiden name she appeared as Olivia Hussey in the film at fifteen years of age. In 1969, she won a David di Donatello award for Best Actress. Since her breakthrough performance in Romeo and Juliet Hussey has appeared in over 40 films including The Jeweler’s Shop, Black Christmas (1974), Jesus of Nazareth (1977), and Death on the Nile (1978). Hussey also appeared in the bilingual film El Grito (known as Bloody Proof in the U.S. version), and Tortilla Heaven, a comedy written and directed by Sundance Film Festival winner, Judy Hecht Dumontet (2004). In 2003, Hussey played the lead in a film adaptation on the life of Mother Teresa, for which she was presented with a CAMIE award (for Character & Morality in Entertainment) in 2007. 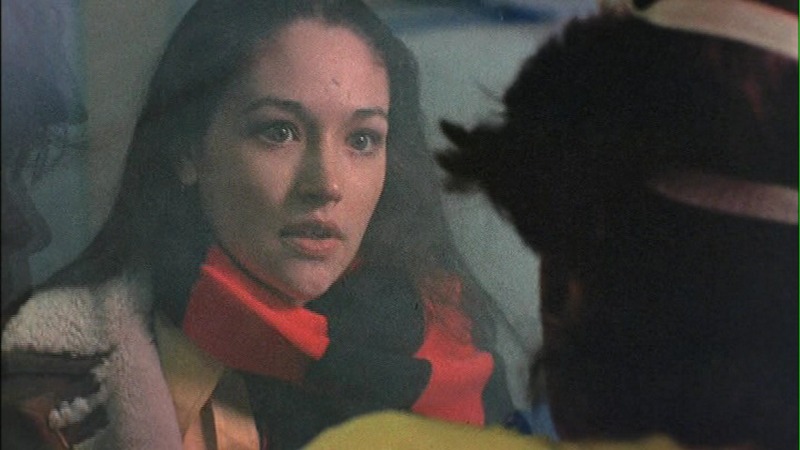 Olivia Hussey has been married three times. Her first marriage was to actor Dean Paul Martin in 1971. Son, Alexander Dean Martin in 1973, has taken his parents path by becoming an actor. Nine years after the couples divorce Martin died in a plane crash. Hussey Japanese musician Akira Fuse in 1980 and had her second son Max in 1983. Hussey and Fuse divorces in 1989; she then married American musician David Glen Eisley in 1991 and gave birth to daughter come actress, India Eisley.